Tuesday mornings are spent on level one of the hospital at the radiology clinic, where we learn to take all sorts of weird and wonderful x-rays (on actual patients of the hospital. 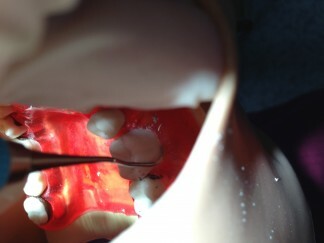 This is definitely one of the most crucial aspects of dentistry that must be mastered. After a healthy dose of radiation, we all make our way in the afternoon to periodontics lab, where we learn the art of scaling calculus off teeth and probing gum pocket depths. The aim of the session is to acquire an extremely sore wrist and hopefully a set of gleaming clean teeth in the process. 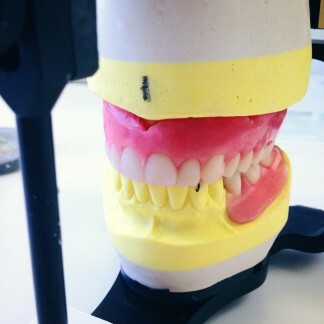 Wednesday mornings are prosthodontics labs where we pour up impressions of teeth in order to make study models. 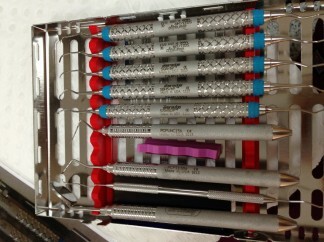 These models are used to make all sorts of appliances, including splints, dentures and crowns. Most of us may be covered in plaster and melted wax by the end of the session, but the pride of carrying around our completed wax rim makes it all worth-while. Cariology clinics dominate Wednesday afternoons. We stare into each other’s mouths hunting for any caries and white spot lesions. The only thing is, dental students generally have impeccable oral hygiene and we rarely find anything but pearly white teeth! So we usually rely on images gathered by our tutors.